Need Garden Landscaping Services in the QLD area? 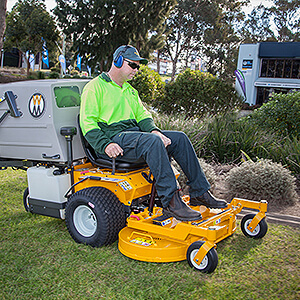 Jim's Mowing offers Landscaping and Design services in QLD, and would be delighted to help. Just call Jim's Landscaping team in QLD on 1300 191 565 or you can book a landscaping job online for a date that suits, or schedule a free, no obligation quote. Landscaping prices can vary depending on the size, length and overall state of your garden currently, so it is usually best for us to view the garden first to ensure an accurate estimate of costs. Jim's Gardening QLD offer fully trained staff, who can advise you on all aspects of garden landscaping, be that from initial landscape design ideas through to the creation of selected hard and soft landscaping elements, plant selection, planting, turfing, soil preparation, irrigation and more. Correct selection and placement of plants is critical to ensure they are the right plant for the soil, sunlight and climate conditions. And equally important, is that any landscaping plans are fully compliant with local council requirements. Our fully trained landscape gardening team know this, and so much more, so don't leave your landscaping to just anyone. Furthermore, Jim's Gardening can maintain your fully landscaped garden ongoing, offering all aspects of garden care, including lawn mowing, edging, weeding, irrigation, fertilisation and mulching schedules. Plus we offer regular pruning of trees, hedges, scrubs as well as seasonal removal of garden waste, and gutter cleans. Call Jim's Landscaping Services in QLD on 1300 191 565 now or Book a Jim's Landscaping job online, today. Your yards and gardens will be expertly landscaped, all the hard work done for you, giving you more time to enjoy your beautifully landscaped garden! So call Jim's Gardening now on 1300 191 565.